Our flight got switched around so we ended up taking a red-eye flight from Seattle to Cleveland. We arrived at 6am, which if you know anything about hotel check-in policies is WAY too early to check-in to your hotel. Luckily we were staying at The Schofield Hotel, which was recently voted the best hotel in Cleveland. They checked our luggage at the front desk, moved up our check-in time by a few hours, and recommended some nearby coffee shops for us to check out while we waited until then. We were blown away by their kindness and sense of humor. After that we proceeded to Pour Cleveland, a multi-roaster coffee bar who is passionate about their city. We instantly connected with the Baristas, who were super chill. They let us hang out for a few hours while we waiting to check-in to The Schofield Hotel, and even recommended some great places to eat. Finally, we checked into the hotel and plopped on the bed. It was a super comfy king-size bed with roughly 57 pillows. Above us was a mixed arrangement of quirky art. The view from our room was right out onto the corner of Euclid Avenue and E 9th Street. Shortly after checking out our new digs we received a text message from the hotel. They wanted to make sure we had everything that we needed. We ended up making reservations for dinner at Parker’s Downtown, and massages through Relax and Rejuvenate all via text message. 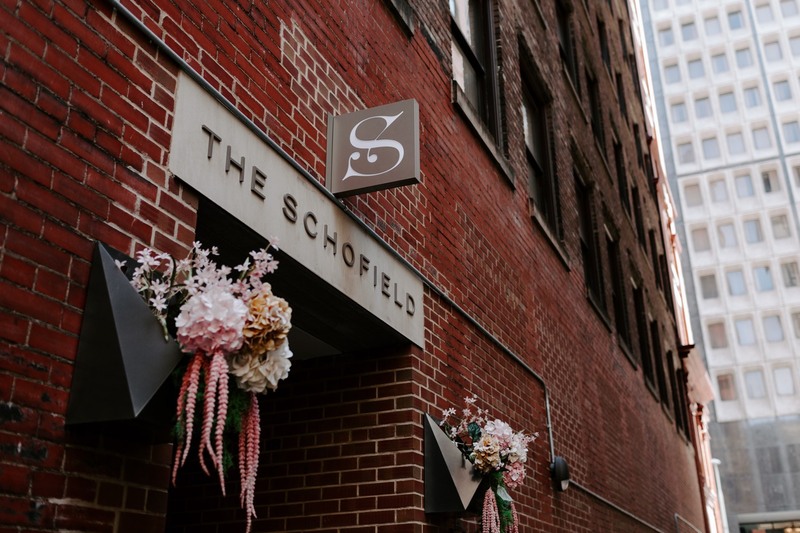 Our stay was amazing, and the level of service we found at the Schofield was stellar — would definitely recommend.